Mooppanar Swami came to Arunachala from Tiruveneli around 1968 and became very well known throughout the Arunachala area. He was a devout, spiritual man who placed great emphasis on spiritual service. When he arrived at Arunachala, things were rather different to the present time and what particularly distressed Mooppanar Swami was the dreadful, neglected condition of the Asta Lingams (8 Lingams) that surrounded Arunachala. Mooppanar Swami used to spend a lot of time meditating and praying at the big Temple and he eventually came to believe that his mission directly imposed by Arunachaleswarar was to renovate the Asta Lingams. He was convinced that the restoration of the Lingam Shrines was essential to the revitalisation of specific fields of energy and influence surrounding the Hill. Through a combination of various social reasons, over the last few centuries Temples and Shrines throughout India had fallen into disuse and decay. This certainly occurred at Tiruvannamalai where the situation had become so bad that The Asta Lingams were even taken over by squatters and homesteaders. It is said that Mooppanar Swami would even resort to driving the squatters off the Lingam premises with a stick! Restoration of the actual Asta Lingams is now complete; although development of land attached to the Lingams still continues. Many people believe that the revitalisation of the Lingams is in some way responsible to the sudden revival of interest in Arunachala. It was late evening, Saturday, April 10, 1999, when I.S.V. Arunachala Mooppanar (lovingly referred to as Mooppanar Swamigal), shed his mortal coil to reach the Feet of Lord Annamalaiyar, as Lord Siva is known in Tiruvannamalai. He was 76. It was a great loss to all those who had come to know and love him for his selfless life as a sivathondan, servant of Siva. In Tiruvannamalai, where he had spent the last 35 years, he was referred to as the 64th Nayanar (the saints of Tamil Saivism)--a place he richly deserved. Mooppanar led a married life for 22 years. Having no children, he adopted his elder brother's son and daughter when the former remarried on the demise of his first wife. When the daughter reached marriageable age, she died suddenly through illness. This was traumatic for Mooppanar. The son was then in the 8th standard, and Mooppanar viewed his own life to date. He questioned, "Is this all there is to life? There has been no real happiness so far. Am I going to spend the rest of my life looking after the boy?" Dispassion set in, and soon he felt the need for a more meaningful life. It was then that he made the momentous decision to leave everything behind and come to Tiruvannamalai to serve Lord Siva by offering sambrani dhupam, a traditional temple incense, to the Lord. Thus it was that, having made provisions for his family, he arrived in Tiruvannamalai around 1965. On his arrival he met the chief priest, Ramalinga Sivachariar. The priest told him that what he had in mind would neither provide a roof over his head nor food for his hungry stomach. Ramalinga Sivachariar offered him a job selling panchamritam, a sacred blend of five fruits, at the temple shop jointly run by him and another priest. He also encouraged Mooppanar to carry on with his Siva puja (his puja items, now stored in the premises of the Kubera Lingam, are worth not less than Rs. 30,000). For the next five years he ran the panchamritam shop. There was neither gain nor loss. This too, he felt, was not his destiny. The opportunity to do thirupani, temple renovation, came when the owner of Udupi Brindhavan Lodge offered him free board and lodging. Freed from the burden of earning a living, he embarked on his ashtalinga thirupani in earnest. In the beginning he was given encouragement and help by one Ramanananda Swami. 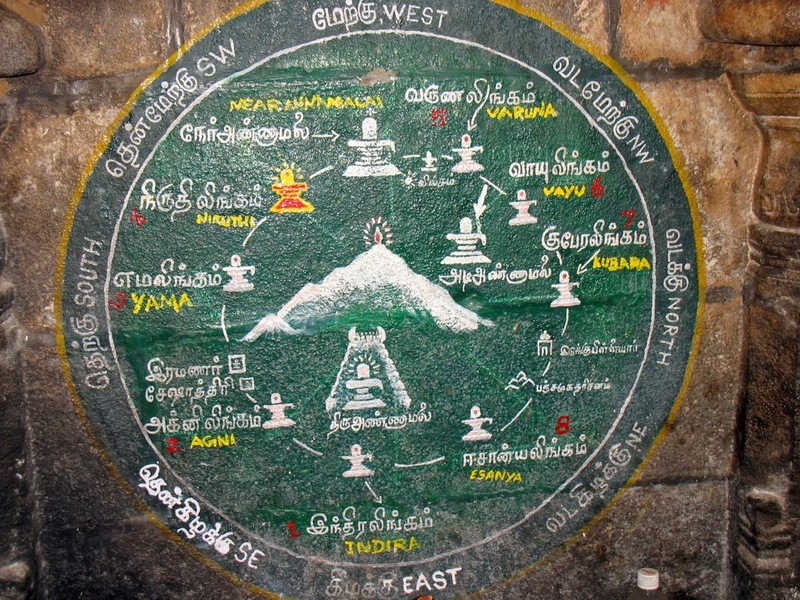 The 14-kilometer circumference of the holy Arunachala Hill is dotted with several small shrines, including the Ashtalingams (eight Siva icons). Neglected over the years, these shrines had fallen into a sad state of disrepair. Mooppanar felt it was his destiny to restore them to their original glory. With this in mind, he approached the temple authorities, as all these shrines belong to the temple. The officer asked, "How are you going to carry out your renovation?" Mooppanar replied, "There will be no committee. Siva is the boss, and I am the servant." The officer told him to carry on, if he had that much faith in himself. The temple would not interfere as long as he did not seek financial assistance from them. Thus began the arduous task of restoration. He first started on a small scale, doing minor repairs. Later, as more money came in, he undertook restoration on a grander scale--providing electricity, drilling bore wells and building tanks for water storage. Cottages for the devotees have been built at Yama Lingam, Nirudhi Lingam, Palani Aandavar Koil, Surya Lingam, Varuna Lingam, Vayu Lingam and Kubera Lingam. Mooppanar told devotees, "I am not doing this out of desire. 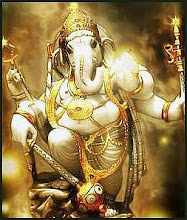 I am a sivanadiyar, slave of Siva, born a human and a Saivite, and doing Siva puja (worship rite) for more than 25 years. If I do not carry out the repairs and restoration, there is no point in having taken birth. I have come for that purpose." Toward the end of 1998 he had to discontinue his elaborate Siva puja due to ill health--diabetes, high blood pressure and a heart attack--brought on by stress caused by opposition from certain quarters that stood to lose when Mooppanar went to court to repossess property that rightfully belonged to the Ashtalingams. Over the years he had successfully gone to court more than once to reclaim Ashtalingam property. At the time of his death, there was a court case pending for Isanya Lingam, the eighth Ashtalingam, where work is currently in progress. From memory, he could give the actual acreage of each shrine. On the first of every Tamil calendar month, he would walk around the hill at night, performing abhishekam, ritual bathing, and puja at every shrine. In the early days, barrels of water and items for abhishekam would be carried in a push cart from shrine to shrine by a devoted band of followers. This went on for many years. Following his heart attack at the end of 1998, he was unable to walk around the hill. Swamiji had great compassion for cows. Every morning, on the way to the temple, he would stop at the cowshed to feed the cows and calves tidbits that he would pick up from the hotel. Through his devotees, he had contributed a few animals to the temple. At his request one devotee built a permanent shelter for the animals. On a regular basis he would have agathi leaves bought for the cows, a treat for them. Only after darshan of Lord Annamalaiyar and Unnamulai Amman would he have breakfast himself. A man of discipline and self-control, he never imposed himself on anyone. Though he had free lodging, whenever the hotel was full, he would sleep in the corridor. He never visited old people or young children without taking some food for them. He would buy loose flowers for the Lord on his way to the temple every morning. When Mooppannar was hospitalized following a heart attack in early April, 1999, his devotees wanted to take him to Chennai for treatment. He refused. If he should die, it had to be in Tiruvannamalai. He was adamant about this and he breathed his last in this sanctified place. He was well-read and could recount stories from the Puranas. His stories would be interspersed with plaintive refrains from songs in praise of Lord Siva. In the early days he had accompanied the chief priest when the latter conducted temple consecrations in various parts of Tamil Nadu. Mooppanar was assistant in charge of everything. Mooppanar appointed five trustees to carry on the work after him. He also put some money in fixed deposit, the interest from which was to help to maintain the shrines he had restored. A large crowd gathered for his funeral. Garlands were in abundance, so much so that the path to the cremation site was lined with them. No one would accept money for services rendered during the funeral. Even the hospital where he received treatment refused to accept any form of payment from the trustees. Though small in stature, he was a giant among men. He feared no one. There are plans afoot to have a statue of Mooppanar erected in the grounds of Kubera Lingam. Palms together, he will be facing the hill. It is hoped that the trustees fulfill Mooppanar's dream by completing the restorations he dedicated his life to. For more information about the Asta Lingams, and to learn about their esoteric significance visit my website Arunachala Samudra at this link here. Thanks for the appreciation. Will be posting soon a new narrative on 2 additional girivalama Lingams, that are sometimes talked about as the 9th and 10th lingams: i.e. Surya (sun) Lingam and Chandra (moon) Lingam. Is this the same man whose picture I see mounted on the walls of every lingam shrine . He is sitting in a chair ? Thankyou for providing the missing information , I wondered who he was and this story provided a deeper meaning as to why his picture is there . Yes the photographs in the Asta Lingam Shrines are of Arunachala Mooppanar (I.S.V. Arunachala Mooppanar). Few people who come nowadays to Arunachala to perform girivalam and visit Shrines realise that only a few short years ago, the area was in disrepair. As mentioned in the narrative the Asta Shrines had to be wrested away from squatters and the like. Even at the time of his death in 1999, much of the work on the Shrines was still to be completed. There are many such stories throughout Tiruvannamalai. In this respect the third most important Shiva Shrine (after Arunachaleswarar Temple and Adiannamalai Temple) is Arunagirinathar Temple (next to Ayyankulam Tank). Until a Trust was formed by a family of Brahmin Priests, who personally supervised the raising of funds to restore the Shrine, it was in a terrible condition. The same conditions apply also to Adi Annamalai Temple which was restored recently mostly due to the good services of a local Sadhu, Swami Ramananda.